Thanks to fantastic community support, the Lakes Region of New Hampshire has now successfully built a one-of-a-kind performing arts campus. We are dedicated to bringing you the best professional and community theatre all year round - year after year. As our Capital Campaign heads towards a grand finale, your generous $1,000 donation will enable you to sponsor a seat in one of New Hampshire’s finest new theatres! Immortalize your support by having your (or a loved one’s) name permanently engraved on one or more of our 200 seats. All new donations from now to the close of the campaign on Labor Day will be matched by each of two generous supporters. 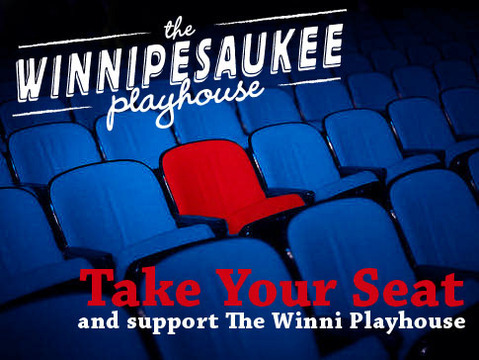 So for each new $1,000 you donate, The Winnipesaukee Playhouse will receive $3,000. From now to the close of the campaign, donations of any size will be double matched. Make your final capital campaign donation now, then sit back and enjoy the opening season YOUR generosity and community spirit has made possible. Earn money for the Playhouse with every purchase you make. Click the card to find out more! Site work at the 11 acre property in Meredith including site lighting, staff accomodations, an outdoor amphitheatre, and ample parking. A 180-249 seat theatre and support spaces including lobby, dressing rooms, classrooms, technical facilities and administative support. The Playhouse is committed to creating a theatre that retains the intimate feel of the current location yet accommodates the needs of our growing audience. Pledge now and help the Playhouse bring the Lights Up! Print the pledge form below - your donation will be matched! Naming opportunities are available. Says Van McLeod, NH Commissioner for Cultural Resources, "The opportunity The Winni Playhouse has in Meredith is enormous and unique. No other theatre in the State has the physical resources on one site and the campus atmosphere will enhance the Playhouse's ability to provide not only first rate performances but continue to expand the educational component which is a major benefit to the greater Lakes Region community. 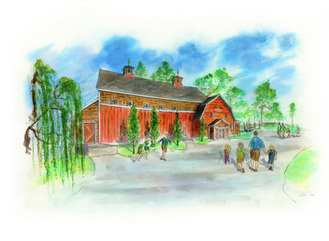 The Lakes Region is a destination, and the Playhouse campus will become a top destination in itself and help draw people from all over to central New Hampshire. Their plans are visionary and will make a real difference in the lives of people who live here and visit here."